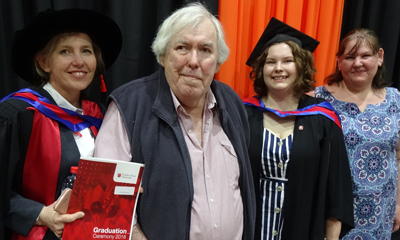 A local Bathurst family have seen the benefits of study at Charles Sturt University (CSU), with three generations now all graduates in business. 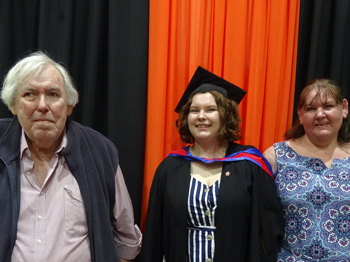 Ms Jemimah Yow (pictured with her grandfather and mother) was awarded a Bachelor of Business (Management) at the CSU School of Management and Marketing graduation ceremony on Friday 14 December. She was proudly watched by grandfather Mr John Small, who graduated with a Bachelor of Business Administration from CSU’s predecessor institution Mitchell College of Advanced Education (MCAE), and his daughter (Ms Yow’s mother) Mrs Penelope Morcom (Bachelor of Business – Accounting, at CSU). 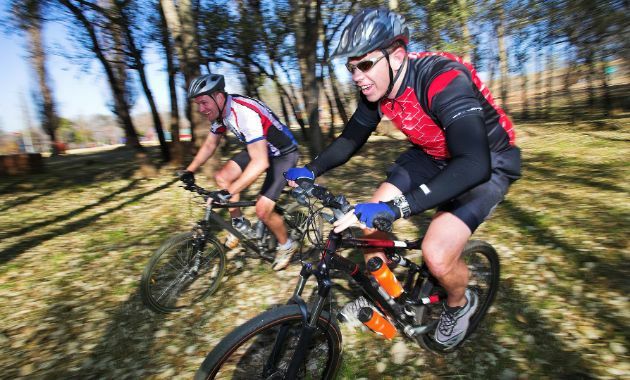 All the family studied business degrees internally, with classes held at CSU in Bathurst. Being on campus enabled them to participate and enjoy a range of ex-curriculum activities, including serving on the Student Representative Council and in community programs such as Future Moves. In addition, at times taking advantage of the flexible study option of online subjects, Ms Yow was able to take the opportunity to work and study full-time. She was also able to fast-track her degree and finish in two and half years instead of the traditional three. She chose to attend the December graduation ceremony held at CSU in Bathurst so all the family could see her walk across the stage. “Before I started my degree I already felt a part of the Charles Sturt University community,” Ms Yow said. “Growing up I spent a lot of time visiting the University with my family, and graduation isn’t the end of my journey with the University, it is only the beginning as I have joined the CSU Alumni. Head of the CSU School of Management and Marketing Associate Professor Mark Frost said a business degree at Charles Sturt University offer students a wide range of areas of study, from accounting and information technology to management and marketing. “While studying a Bachelor of Business (Management) at the University, our students learn the importance of being an operational and strategic thinker,” Professor Frost said. “We believe our business degrees prepare students with business knowledge and acumen that is just as relevant for regional small and medium enterprises as it is for large multi-national organisations. Lecturer in the School of Management and Marketing Dr Felicity Small (pictured left, with her family) said, “Our business degrees have a strong focus on developing students’ professional skills, and providing students with opportunities to apply the theoretical frameworks that they are learning in the classroom to real-world settings. Committed to life-long learning and as a new member of the CSU Alumni, Ms Yow is studying again, working her way through a short course in social and digital media which has recently been offered through CSU. She is now currently employed full-time with QBE Insurance and enjoying the next phase of her life. Ms Yow graduated at the CSU Faculty of Business, Justice and Behavioural Sciences graduation ceremony at 9.30am at CSU in Bathurst On Friday 14 December.